Shipping & handling included. For orders to Alaska, Hawaii, Guam or Puerto Rico, separate shipping rates apply. Call 1-800-347-6994 to ship to these states and territories. 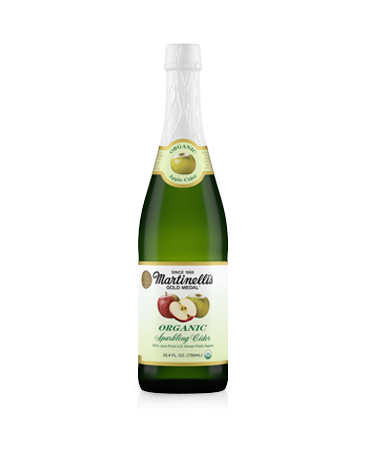 “Organic” Sparkling Cider is a bubbly non-alcoholic version of Martinelli’s original champagne cider of the 1860’s. It can be enjoyed by the entire family and comes in the traditional 25.4 oz. champagne style bottle in cases of 6. There is nothing like it!